If you meet this person, punch them, as they are lying to you. Summer music festivals are required to be hot. This is, I’ve come to learn, because the festivals are actually organized and run by a secret underground joint cabal of bottled water and Port-A-Potty companies, who have been lining their pockets with your sweaty cash since the first Woodstock. 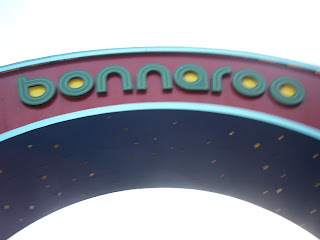 More likely, you’ll soon cross paths with one of the 80,000 people who attended Bonnaroo in rural Tennessee this past weekend. They’ll be easy to spot, as they’ll be wearing a tattered Ratdog 1996 tour T-shirt (RIP JERRY! ), most likely because they sweated through half their wardrobe last week, using the other half to wipe mud off their wineskins, treat injuries suffered while twirling in a circle for three hours straight and repairing hula hoops. 1. Coachella Valley Music and Arts Festival, 2004: Average temperature: 101 degrees. Lesson: the way to get free water is to pass out on the grounds from heat fatigue, as our friend Ally did. 2. Austin City Limits, 2005: Top temperature: 108 degrees (seriously). Consequences: The parched earth turned against the festivalgoers by the last day, kicking up a dust storm that led some to walk around in medical masks like the park was the scene of a SARS epidemic. Lessons: Texas has a beer called “Lonestar” that somehow tastes better when mixed with dirt. 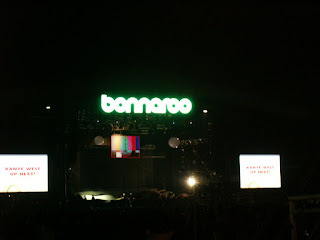 So with all of this heat, copious free samples of Eau d’Pleaseshower and the general endurance test that is four days of rock festival, it’s understandable why the Kanye West Incident turned into such a low point for all the Boos in Bonnarooville. The Kanye West Incident, if you missed Page 3, involved the Higher-Education-Hating One’s failure to take the stage until the absurd hour of 4:30 a.m., precisely the time the sun comes up in Tennessee and all the guys dressed like spacemen and the girls in cat costumes turn back into pumpkins. The show was decent, but Kanye never addressed the crowd: not an apology, not a thanks, not even a “What’s up, Bonnaroo?” (and then he skimped on an encore). The spawned a sizable anti-Kanye movement the following day, which continues unabated on the Internet to this day. That says a lot. The masses can handle the heat, the mud, the sub-civilized living conditions. But we’ll take the heat over an unchecked ego. At least the sun comes back for an encore.